Today’s post is as useful to you as it is to myself for future reference. 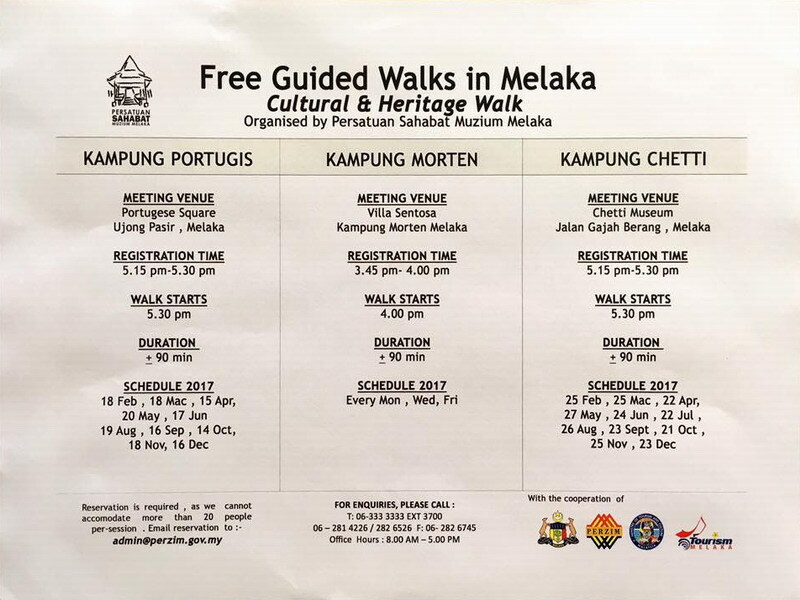 Here are three free guided walks organised by Sahabat Muzium Melaka (Friends of Melaka Museums). The guided walks by licensed tourist guides are in Kampung Portugis, Kampung Morten and Kampung Chetti. Their focus is on culture and heritage of the respective areas. I have visited Melaka numerous times and have yet to set foot on Kampung Chetti. It is high time I make my way there to participate in the free guided walk. I enjoy guided walks because I learn a lot more, thanks to knowledgeable guides, compared to walking and exploring a certain place by myself. And if it is free of charge, it is certainly a bonus. Similar to most heritage walks, each session can only accommodate 20 people, so prior reservation by email is required. 8 Responses for "Melaka Free Guided Cultural & Heritage Walks"
ooo they have free walks in Melaka now? Time to visit Melaka! This is very useful, i will share it with my friends and foreign friends who are going to Melaka. 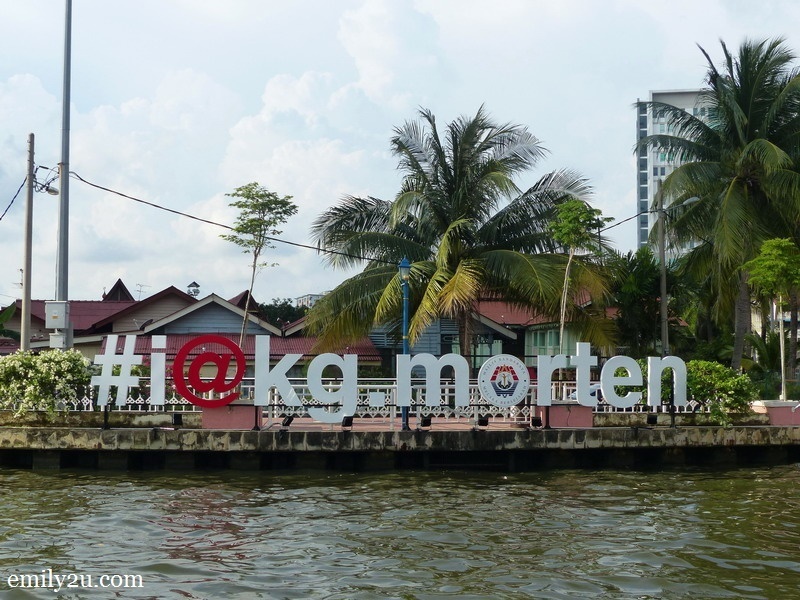 I have been to Melaka so many times but didn’t know about this! I certainly hope to join on of these tours so that I can understand more about the history of the place! I also has not step at the place. Should pay a visit when in Malacca. This is definitely a activity my family would enjoy thanks for sharing!